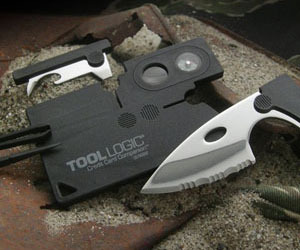 A new way of traveling green is now available for pre-order at the KLD Energy Technologies. 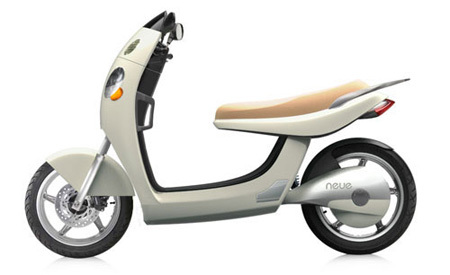 The Neue Electric Scooter is a cool electric powered scooter that uses an innovative nano-crystalline composite material that is responsible for conducting energy in a more efficient way than the traditional iron-core motors. 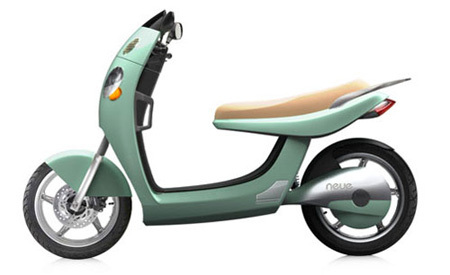 This stylish bike can go 65 miles per hour and costs $3,288.00. It comes with a stylish and state of the art headlight that uses high-brightness yet low energy consumption LED light. The passenger pegs has retractable foot pegs for a more comfortable passenger ride, and the storage compartment is located under seat for your extra battery or your bag. 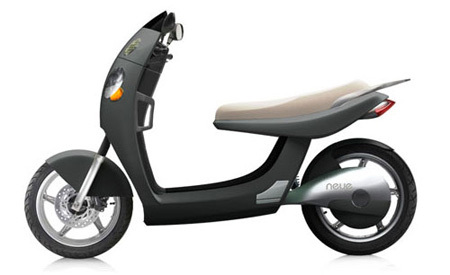 Available in black, mint, and ivory, the Neue Electric Scooter eco-friendly and zero emission, but a hip and stylish one as well. Absolutely love the bike, it was cheap and simple to use. I got it from http://www.elecbikeco.com they seemed good but I am sure there are many other companies out there too. I am interesting to buy this vehicle, can you give me the agent in my country-INDONESIA? Which company selling this scooters??? Please a need any information!!! Try to contact KLD Energy company to get further information.